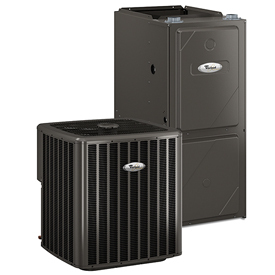 A dual fuel heat pump has been described as an air conditioner with a gas heating unit, these heat pumps are becoming more popular in some colder states. 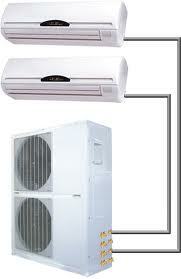 The dual fuel heat pump is fairly recent development in the heating and cooling business. More accurately described as an air conditioner combined with a gas heating unit, these heat pumps are becoming more and more popular in some colder areas of the country. If you are interested in learning more about a dual fuel heat pump works then you should read the following article. What Are Dual Fuel Heat Pumps? In order to understand how a dual fuel heat pump works, you must at first understand how a standard or air source heat pump works. The basic principle behind heat pumps is that they are capable of transfer heat from one location and transfer or move to another. For example in winter time, an air source heat pump uses a special refrigerant to absorb the warmth from the air outdoors, transport it inside and pass it through a heat exchange coil where it is then delivered though the house. 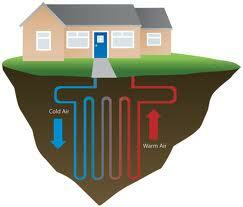 A good heat pump can “pull” heat from the air even on the coldest of days. In summer, the whole cycle is completely reversed and the heat held inside hot air within the home is absorbed and then released outside while the cooled air is then circulated throughout the house. A regular air source heat pump uses an electric heat element as an auxiliary heater during cold weather. On the other hand, a dual fuel heat pump the type secondary heat source that powers this kind of system runs just like ordinary pumps under mild to moderate temperatures. But during periods of low or freezing temperatures these units automatically switch on and burn natural gas or propane to heat the home. And since they aren’t exclusively powered by electricity, they don’t use as much electricity which saves you a bundle on your home heating bills. And these types of heat pumps can easily heat and cool structures larger than 4000 square feet, which makes them popular for green minded architects and builders. Depending on the part of the world where you live, dual fuel heat pump that uses natural gas may make a very affordable alternative to the standard heat pump. Many air source heat pumps have difficulty properly maintaining heat during days when the temperature dips below 40 to 32 degrees Fahrenheit. If you live in an area of the country where the local weather has extended periods of cold weather, then you would probably have to use a heat pump that routinely runs its auxiliary burner to help with the colder days. And this can run your electrical power bill up sky high if you are not careful. So if you must use a secondary heater, you might as well install a complete gas furnace which would decrease your electric bill and keep you completely warm and comfortable even on the coldest of nights. Another factor in favor of using a dual fuel heat pump, is that while electrical power in and of itself is non-polluting, in many countries; coal is still the main source for energy for electrical power plants. And we all know how harmful coal emissions are to the environment. Of course the main disadvantage of using dual fuel heat pumps is the price of natural gas or propane in your local area. 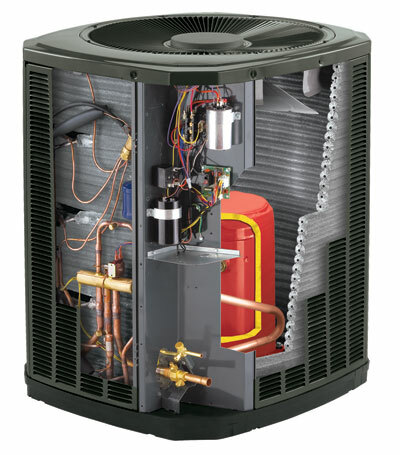 But other than this pricing consideration, a well designed and efficient dual fuel heat pump may be the best solution for your home heating and cooling needs.